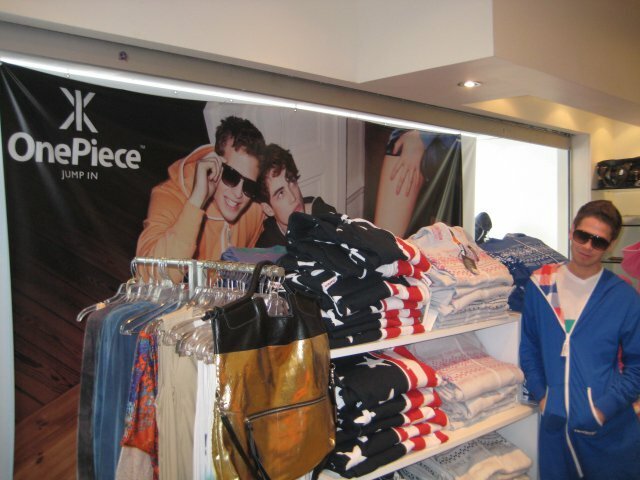 So – Cameron and Jon have been along to the new OnePiece store in Beverly Hills, LA to check things out for TheOnePieceBlog. It’s all good at the exclusive Kitson boutique, where all the wonderful designs are available to try on and purchase. Cam and Jon wore their own OnePieces to the store, and got a great reception! Cam is on the left of the picture above, wearing a College Player OnePiece, and Jon on the right is in his Reversible OnePiece. Thanks for the pictures guys! If you live near a OnePiece store – send us your thoughts and some pictures.